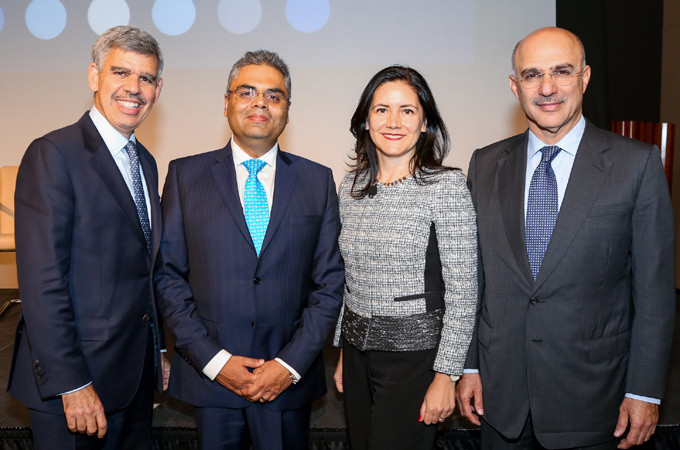 Investcorp, a leading provider and manager of alternative investment products, welcomed more than 120 industry executives representing over 100 different firms to New York City for its Third Annual Credit Symposium. The event, on October 16, was hosted by Investcorp’s Credit Management business and featured distinguished speakers sharing their expertise and highlighting the latest trends emerging across the alternative investment industry. Attendees included a range of investors including global pension funds, sovereign wealth funds, endowments, foundations, family offices and insurance companies. During a fireside chat, Dr El-Erian, chief economic advisor at Allianz and a member of Investcorp’s International Advisory Board, spoke about the prospects for the global economy and markets. Additional speakers at the event included Jeff Hinkle, chief investment officer of Shoals Capital Management; Riccardo Banchetti, chairman of Eidos Partners; Brian Swain, CFA and director of investments at Howard University; and executives from across Investcorp’s Credit Management, Absolute Return Investments, Private Equity and Real Estate Investment businesses.